If you signed up for the SwiftKey Flow beta, then you recently received instructions on how to download the popular new keyboard app. If you didn’t sign up for the beta, then you’re not out of luck. The app can be downloaded from its official website here. But does SwiftKey Flow live up to the enormous hype surrounding it? Does it actually provide the fastest Android typing experience on the planet? Here’s our review of this innovative new app. 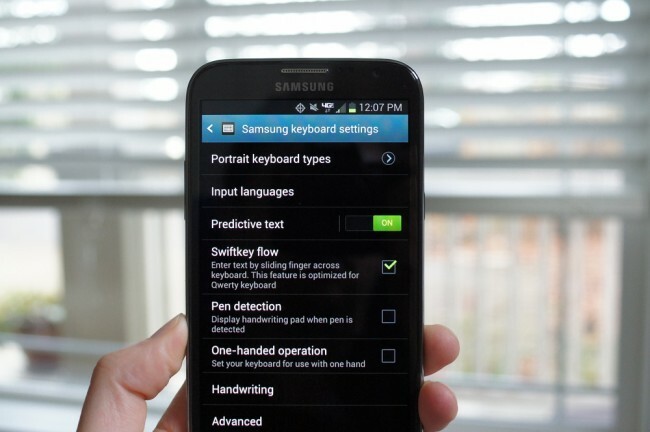 The SwiftKey Flow is unlike any other Android keyboard available today. 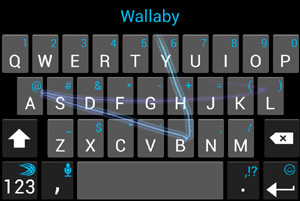 While most smartphone keyboards require users to tap on each key in order to activate them, SwiftKey Flow works differently. Users simply slide their fingers around the virtual keyboard and the app will spell out words for you. Think of it like a Ouija board. You slide your fingers around and the app takes note of which keys your fingers land on. Although it might look like you’re just scribbling all over your screen, the app is intelligent enough to make sense of those scribbles. And like all good keyboard apps, SwiftKey Flow is intelligent enough to recognize where you messed up and correct those mistakes on the fly. How do you type double letters? If you’ve thought about gesture-based typing for more than a few seconds, then you probably realized one fatal shortcoming: double letters. How does SwiftKey Flow handle that problem? Well, in most cases, SwiftKey Flow will recognize that you want to type a double letter. For example, if you swipe over the letters H-E-L-O, SwiftKey is going to assume you’re greeting someone, not talking about helicopters, and it will add the extra L automatically. But if you want to help the app out, you can scribble on the double letter slightly in order for it to recognize that you’re typing a double letter. Spaces are handled in two ways. The most beginner-friendly way is to lift your finger off the keyboard after you’ve completed a word. The keyboard will automatically generate a space for you, and then you can continue typing your next word. But if you want to look even cooler than that, you can simply swipe down to the spacebar after you’ve completed a word and then move directly into the next word. You can write entire text messages or emails without lifting a finger. The continuous typing feature takes a little practice, which is why beginners should try the spacebar feature first. But once you get the hang of it, you’ll be typing faster than ever before. And if you want to insert a period and begin a new sentence, just tap twice on the spacebar. Early reviewers agree: it’s hard to make a mistake with SwiftKey Flow. A lot of work has gone into troubleshooting the app and making sure it’s intelligent to see past any mistakes you might make. The non-swiping SwiftKey keyboard, simply called SwiftKey, is amazingly smart at predicting words. Sometimes I’ll mess up a word so badly that only one out of six letters is correct, and SwiftKey will still understand what I’m trying to say. SwiftKey is simply the best at understanding what you’re trying to say. And with its powerful dictionary and quick-learning capabilities, SwiftKey Flow replicates the success of the original SwiftKey app. We already mentioned how powerful the original SwiftKey app is when compared to the default Android keyboard. And instead of being forced to choose between these two apps, SwiftKey has made it easy to switch between tapping and swiping on the fly. Just to the left of the spacebar, you’ll see a little button with some tiles on it. Tap that, and your keyboard will instantly switch between typing and swiping. Keep in mind that SwiftKey Flow is in beta mode, so many of these problems will be ironed out by the time the final build is released. SwiftKey Flow is gesture-based typing at its finest. 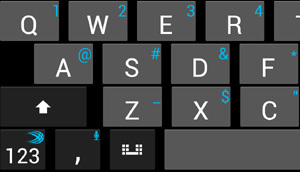 If you never got the hang of tap typing, then SwiftKey Flow is a viable alternative. Compared to other keyboard apps, it has a minimal learning curve. And once you get the hang of it, typing (or scribbling, or swiping, or whatever you want to call it) is incredibly fast. And since the app is available as a free download, there’s no good reason not to try it out. 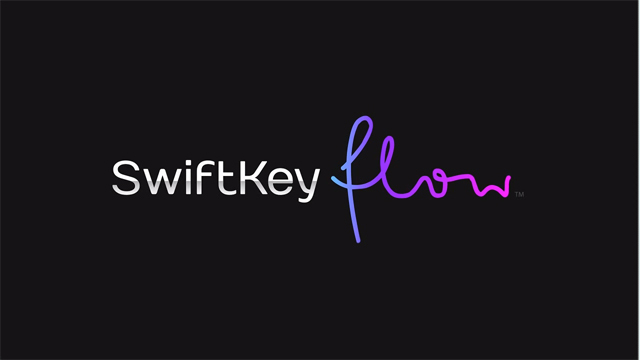 Download SwiftKey Flow today from here.